Following up on this mornings Morning Shift, Motor1 is reporting that GM dumped $175 million into the Lansing Grand River plant for retooling for the 2 new models. 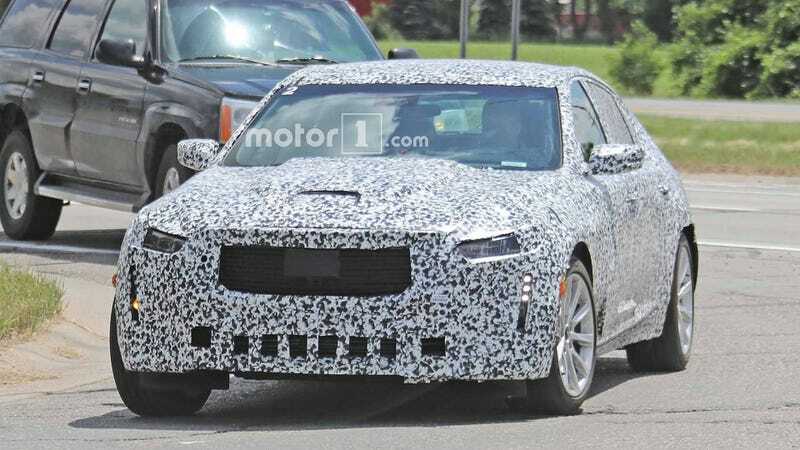 The plant currently makes the CTS, ATS and Camaro. Originally I thought that the CT5 was going to be a consolidated model replacing both the CTS and ATS. But that isn’t the case. Apparently the CT5 is just replacing the CTS and CT4 is replacing the ATS. Because replacing 2 slow selling models with 2 new models works (eyeroll). They are also reporting that after the CT4 debut, there are going to be a new model every 6 months till 21’ including a coming smaller XT4, an even smaller XT3, bigger XT6 and apparently an Escalade Range, whatever that means. Also by 2020, all models will come with Super Cruise, with it trickling down to other GM models as well. Why are 2 new models replacing 2 models that notoriously dont sell? What is this Escalade Range? How does the XT6 fit in with an XT5 and Escalade? How much smaller than the XT5 will the XT4 and XT3 be? Seriously. What do you guys think about all of this?